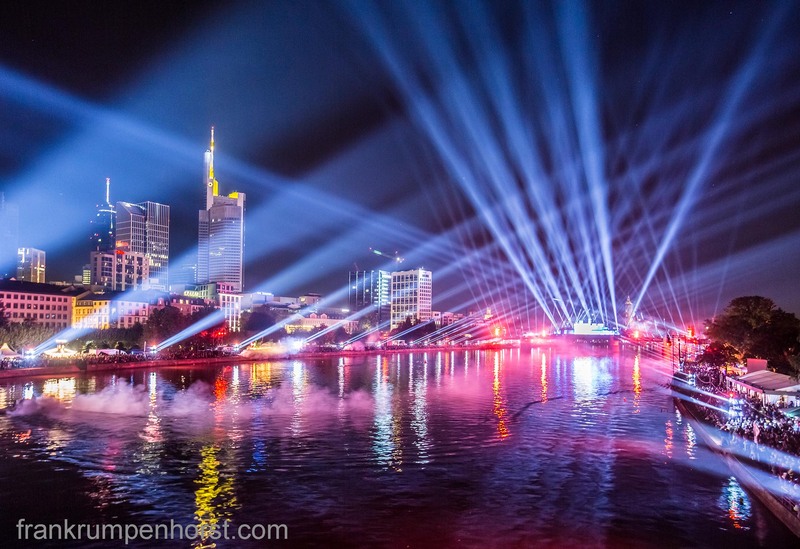 Main river is illuminated during a light and music show attended by thousands of people during Germany’s central celebration on the 25th anniversary of the country’s reunification in Frankfurt, Oct. 3. This entry was posted in germany, Photo, Photography and tagged beam, germany, laser, light, main, river, show, unity. Bookmark the permalink.